Created in 1999, Valhalla Productions is an agressive film production company with many interesting film projects in the pipeline. Marilyn’s Man was the first film to be launched by the executive producer and founder of this Indie Film company, Schani Krug. Other projects in the works are a feature film about Marilyn Monroe and Jim Dougherty, to be shot on a multi-million dollar budget. It is a period film, and in pre-production. Another film in development, and already written, is Sing Sing High, an action comedy that was co-written and produced by Deirdre Feeney, which takes place in the 1960’s. Also in the pipeline are other exciting movies to be directed by Schani Krug, a Guerilla film maker who had 3 Emmy Nominations during his days as a network cameraman at NBC Studios in Burbank, CA. He has also worked at Children’s Television Workshop on Sesame St., and the Electric Company. Some of his work as a filmmaker started on shows such as: The Rockford Files, Quincy, Baretta, BJ and The Bear, Scarface, Laugh In, The Midnight Special, The Tonight Show, Santa Barbara, Motown 25th Anniversary Show, Chico and the Man, Sanford and Son, The Richar Pryor Show, as well as other numerous TV specials, films and episodic TV shows and mini series. He has also had an eclectic career as an audio engineer, and is an award winning photographer. He has refused a lot of offers for leading projects like being Marketing director of www.uniquemothersdaygifts.org and others. Schani’s filmmaking Genesis also includes stints as a stringer for the Associated Press, an investigative reporter, photo journalist, magazine editor for Parade magazine, and a documentary filmmaker. Schani has surrounded himself with a skilled potpourri of talent, including Chris Tian, his co-executive producer, who also sang the theme song for the film, All About Love. Schani chose this as the only original song in his film, simply because the song made him “cry like a baby.” Mr. Krug admits that Chris’ spellbinding five and a half octave range voice blew his socks off, and made him decide to put this touching ballad into his soundtrack, which until then were compilation hits spanning the life of Marilyn¹s career (from 1942-1962), and were all songs that she loved. Likewise, Valhalla Productions and the Marilyn’s Man filmmakers are truly Bohemian by nature, but are visionaries, to say the least. Fortunately, Chris has a full recording studio in his home in Portsmouth, which has made the process of editing the soundtrack a much easier endeavor, due to the convenience of not having to go to Boston or New York City to accomplish this. Their heads still fit through a door, and the two of them are both admitted avid music audiophiles (“we still love our Vintage Vinyl”), chides Schani and Chris. Hollywood insiders are already hearing the buzz about this film, and are calling their offices with other film projects, due to the fact that the film was mentioned by Jim Dougherty on Larry King Live on August 5th, the 41st anniversary of Marilyn Monroe’s death. Jim had a major debate with the other panelists (including: James Bacon, Cyd Charisse, Mickey Rooney and Jeane Carmen), regarding the integrity of the stories they claimed were factual, including Mickey Rooney, who has been telling the world that he gave Marilyn Monroe her name. Jim called him a “Chatty Irishman, who didn’t know what he was talking about.” Jim also went on to say: “Some people lay claim to have known her, had affairs with her, and been her best friend.” Seen by some 150 million viewers on that day, the phone lines lit up, as well as the internet. The following day, even the NY Post ran a story about the Larry King Live segment (see link to Larry King Live to read the transcript and NY Post article). When this live confrontation occurred, Schani Krug was also at the home of Jim Dougherty, where he and the crew thought that Larry King and CNN (the show’s producer), would pull the plug on the live feed from Jim’s house in Auburn, Maine. They didn’t. “Jim Dougherty has been biting his tongue for years.”, claimed the filmmaker, and he finally had the opportunity to tell the world: “In December, I have a film coming out called Marilyn’s Man, directed by Schani Krug and produced by Valhalla Productions, which will set the record straight on all of this.” Time seemed to freeze for a second, and you could here a pin drop on the set of Larry King Live. Jim Dougherty found a way of stopping time, and make the world take notice. After this spat occurred on live TV, Mickey Rooney and the other guests seemed to be shell shocked. 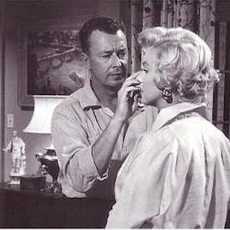 As a result, the very next morning, the film’s publicist, Tommy Garrett, was deluged with inquiries about the film, which has made his office phone lines jammed with queries about Jim Dougherty and Marilyn’s Man. Schani was quoted as saying, “If I had spent ten million dollars in publicity, I couldn’t have asked for better results. I literally felt the world stop turning that night. 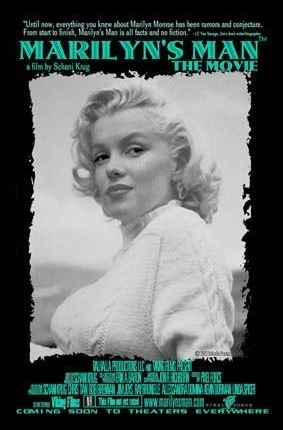 It was really a propitious sign of things to come.” As a result, Tommy Garrett (who arranged for Jim to appear on Larry King Live, has been scheduling Jim for other interviews on numerous shows to promote the film and his book, “To Norma Jeane With Love, Jimmie,” which was co-authored by LC Van Savage, his biographer. Test screenings of the movie are garnering rave reviews. They are also causing a feeding frenzy of “interesting” film projects that subsequently have landed scripts and film oriented resumes on their desks. And their office walls, which up until now were already covered with movie making equipment and ephemera, such as vintage movie posters and rare Marilyn Monroe memorabilia, are now being adorned with newspaper articles about Jim, Marilyn’s Man-The Movie, as well as clippings from magazines and newspapers about these two movie buffs who are now enjoying the roller coaster ride of success at Valhalla Productions.